Have you guys heard of Jamberry yet? I read about it from a friend of mine and now I'm completely hooked! Meet Jessika. That's her up there with her little girl, Emmalynn! Jessika and I were friends in high school, so I thought a while about including a silly picture of her from our teenage years but decided that I probably shouldn't brag about our sideways hats and overzealous eyeliner days (or want them floating around the internet). Luckily we survived the days of elastic wristbands and singed hair and went onto become mommies to some super cute little ones. 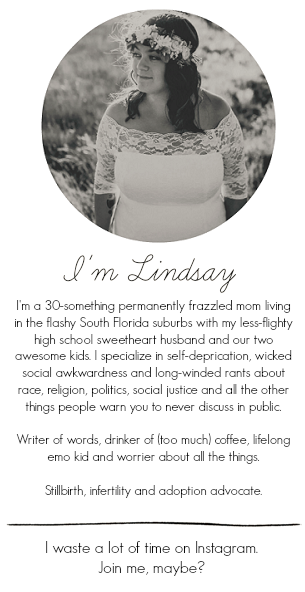 In addition to being a Super Mom by day, Jessika also runs her own Etsy shop and sells Jamberry Nail Shields. 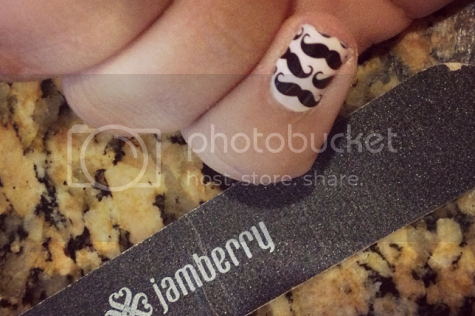 Jessika was nice enough to let me try out some Jamberry samples (and I immediately fell in l-o-v-e with the mustaches, so it was a no-brainer I was trying those out first!). This was exciting to me for a couple reasons, one being that I am a huge fan of the mustache trend and another being that, well, my nails are always a mess and I should probably change that. Can any other moms out there sympathize? Every once in a while, I let my husband convince me to get a manicure or I sit down with a bottle of nail polish and make my hands look presentable -- and then within two days, it seems my nailpolish has chipped away to shambles. Between all of the baths, diaper changes, lotion rubs, sunscreen applications, dish washing, cooking, paintbrush washing, painting, gluing, crafting -- et cetera -- involved in everyday motherhood activities, my nails are never in a good place. I'm always flustered and wondering if the $6 bottle of nailpolish or the $20 manicure was even worth two days of looking somewhat presentable. When my sample kit arrived, I was a little intimidated. I'm not exactly coordinated and wasn't sure I lacked the ability to properly apply my nail shields. Messing up the sweet, sweet mustaches would be a tragedy. The application process, as it turns out, is shockingly easy. All you need is a hair dryer or some other heat source (Jessika says people have even used their car heaters!). 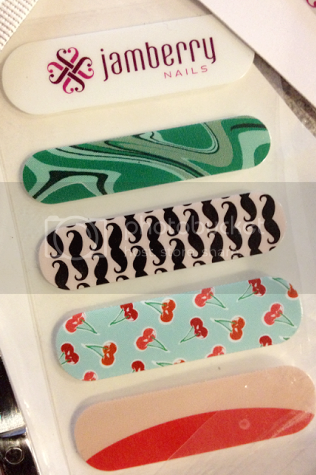 You select your desired nail shields (hello, mustaches! ), heat them with your hair dryer or heat source until they're warm, place them onto the nail where they fit best, clip them to size and file them in a downward motion until they truly do look like they're painted on. It's that easy. Even I figured it out. The price. Each sheet is $15 and you can get about 3-5 applications out of each sheet. A decent bottle of nail polish usually runs anywhere from $5-$9 and doesn't last very long without chipping. A manicure costs around $20 and while one usually lasts me a little longer than doing it myself, I still see some chips within a couple of days. 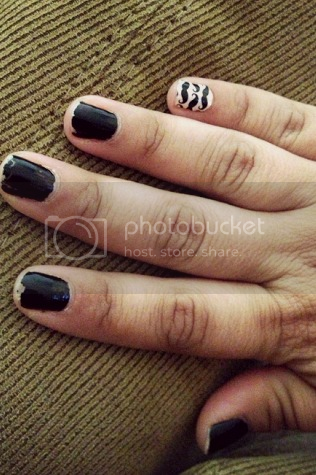 Jamberry nail shields last weeks -- around two or three weeks! And if you want to use them on your toes? They can last up to six weeks! The kid-friendly factor. They even have Jamberry Juinors for little ones! The big-heart factor. There are currently three charity designs offered (Autism Awareness, Fashion Delivers and Make A Wish) and $2 from each of those sets is donated to that charity! The versatile factor. I love the mustaches, but if you're looking for something a little more formal, there are those options as well. There are even French tip nail shields and solids in all different finishes. STAY TUNED FOR GREAT OFFERS & FABULOUS NEWS By joining Jessika's Jamberry Facebook Page! WANT TO WIN? 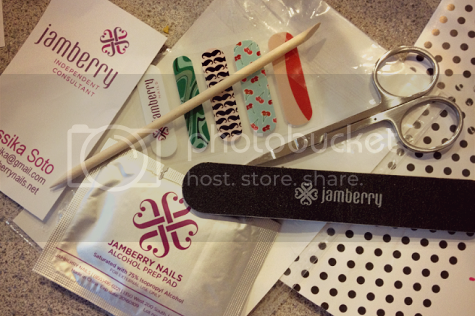 Jessika sweetly offered one of my readers the chance to win a sheet of Jamberry nail shields of your choosing and a some application tools! Giveaway is open to US residents until 4/28/13! Good luck! Cool! I like the multi-color chevron design! I like the summer chevron one! How have I never heard of this?!? These are so cute. I love the mustache ones! I would choose one of the LEOPARD prints. I like the Paris Moon. Very cute! I'd pick lollipop chevron! I really love the teal sparkle!! I've been wanting to try these! Hope I win! i loove the nautical ones!!! theyre so cute! I have never tried Jamberry Nails before but would love to! I like the Gray Tip on Pale Pink! I like the peacock nail set. I'd be lying if I said anything but the mustaches...so cute! I like the pink cammo! is what i liked the best.